The termination will take effect at the end of the month, which is when the contract was set to expire anyway. The decision to terminate the charter school contract has become a major issue for many parents and community activists, who believe Hope Academy, should remain open. As the Houston Forward Times (HFT) has been reporting, there have been a number of troublesome news stories and scandals that have popped up concerning HISD – one of the most troublesome being massive grade-changing stories. The HFT called for a district-wide audit of HISD to be per-formed in order to uncover any areas that may have negatively impacted the African American community and the district as a whole. This action should be included. Founded by Dr. D.Z. 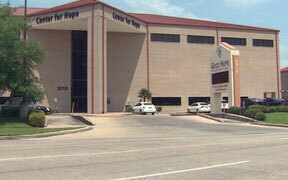 Cofield in August 2009, Hope Academy has an enrollment of 136 students and is operated by his church – Good Hope Missionary Baptist Church in Houston’s Third Ward. Allegations of possible irregularities first came to light in April, when a former Hope Academy superintendent went to an HISD administrator and reported their concerns about the irregularities. An investigation was immediately launched and based on after reviewing the findings, HISD administrators recommended that the Hope Academy contract be terminated. According to investigators, the decision to terminate the contract came after a review revealed irregularities in student records that could not be supported by documentation. There was no documentation that could be found to support any of the irregularities, with 35 out of the 68 student records reviewed at Hope Academy having a total of 51 irregularities. Those irregularities included – grade changes, course additions, course deletions and credit restorations. As a result of the internal review, administrators determined that only 2 of the 21 seniors expected to graduate were eligible as of May 29, 2015. Since that initial finding, 8 more students were deemed eligible after completing additional assignments. The decision to completely sever ties with Hope Academy is seen by many as discriminatory, because the decision is far different than the way HISD has handled other HISD schools that have experienced similar allegations and irregularities – such as Westbury High School, who had to fire their principal because of it. They did not vote to close the school however. At the HISD board meeting this past Thursday, HISD Trustees continued their discussion about Hope Academy – a week after the issue was tabled at the board meeting the previous Thursday. The way it went down was surprising to many. Only four HISD Trustees cast a vote on the matter, and none of the four votes were from the African American members of the board. Wanda Adams left early without voting, Paula Harris decided to abstain from voting and HISD Board President Rhonda Skillern Jones had to leave early because of a prior commitment. Skillern Jones states that Superintendent Terry Grier and his administration put the item on the agenda to close Hope Academy, and it only takes three board members to vote to keep in on the agenda without the consent of the HISD Board President. The vote was three to one to close Hope Academy, with the only “NO” vote coming from former board president Juliet Stipeche. Many activists and community residents believe the Black community, and its historical, cultural and economic roots are under attack. Traditional African American schools are being closed at an alarming rate and parents are being forced to bus their children to schools outside of their neighborhoods to receive a quality education. Something must be done to save what’s left of traditional Black schools. The HFT will keep you posted on any updates involving the fight to reverse the decision to close Hope Academy.